The Internet of Things (IoT): one of the hottest topics in the world of technology and amongst marketers today. For the most part, we are seeing articles, debates and discussion on the enabling side of the IoT – the technology, the applications, the tools involved. But I personally think that the most fascinating side of the IoT is how it enables a fulfilling, empowering experience for people; that is, if we use the IoT in a people-centric way. This isn’t as easy as it sounds. When tasked with building such an event, we tend to automatically start thinking about the latest technologies and applications which will make it bigger and shinier. Even when the results are mixed, it’s a habit of thought that can be hard to break. Case in point: A colleague of mine recently wrote about how the IoT’s potential as “the greatest data capture environment in history” has thus far created almost as many questions as answers. Technologies such as iBeacon, for example, require explicit participant consent; and many for those who do consent, the whole ordeal of downloading the app and activating Bluetooth to make it work is just too fiddly to bother with. So, the potential is there for things like iBeacon to yield a torrent of useful behavioural data on event participants – but only if the technology itself become easier to use and a seamless part of the experience. It must become people-centric before it works properly. It brings all this whiz-bang technology back to the basics: Events are created for people. I’m a people advocate, and I think that the best marketing – actually, the best businesses – always start with a people-first mindset. In fact, when you place people at the centre of your planning, you will find that instead of seeking the latest and greatest tech, you will start looking for the equipment or applications that seamlessly deliver the best experiences for your attendees. To create these compelling, people-centric experiences, content is of course one primary focus. Every activity you organise, every exhibit you place – these are all pieces of content that are crucial parts of the experience. But another necessary (and now possible) step is the design of extensions and connections between each piece of content which allow every interaction to be recorded, analysed, presented and contextualised into the lives of the people you invite to the event, both at the event itself and beyond the event. This is the true power of the IoT. As event marketers, what does this mean for us? It starts with us changing our mindsets and shifting our perspectives on what the IoT means for events. I recommend that we put aside the compulsion to say “Let’s find some brand-new cutting-edge applications to introduce at our event!” and instead ask questions like: “What kind of content do we need to put out to achieve the experience we want?”; “How can we deliver this content in a way that is compelling and memorable for our audience?”; and “What sort of data do we want to draw out to validate the work we have done?”. We need to ask these questions because the potential of the IoT does not stem from the fact that it gives us all these new gadgets; its real potential is its ability to connect the virtual to the real, the social to the personal, the occasion to the everyday moments of life. With this attitude in place, event managers can look forward to measuring data beyond footfall. We will be able to gauge the levels of engagement of an audience, of different groups within that audience, and even the quality of that engagement. And that is truly exciting. The IoT has the potential to make any event into an incredible and unique occasion for every participant. So as this field develops further, let’s remember to look beyond the power of the latest tech and the latest apps and consider the people who sit at the heart of everything. Selene Chin is the Managing Director of Pico Pixel, a digital studio that marries People Experiences and Data to enable meaningful brand interactions. 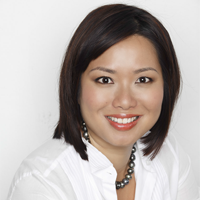 The author is a 3rd party contributor to AdAsia and this article represents her views.